As promised, I will be posting my felt food tutorials, with printable PDF patterns. 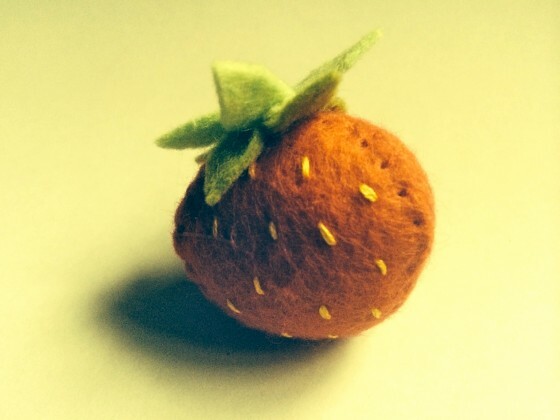 I thought we would start with the cutest felt strawberry! First print this pattern and cut out the shapes from the paper according to the directions. 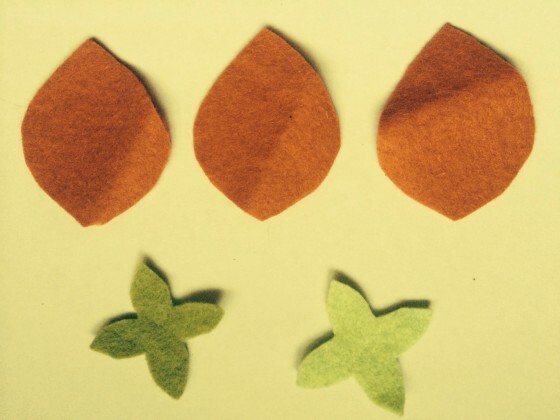 Pin your felt to the cut paper shapes and cut the felt pieces. 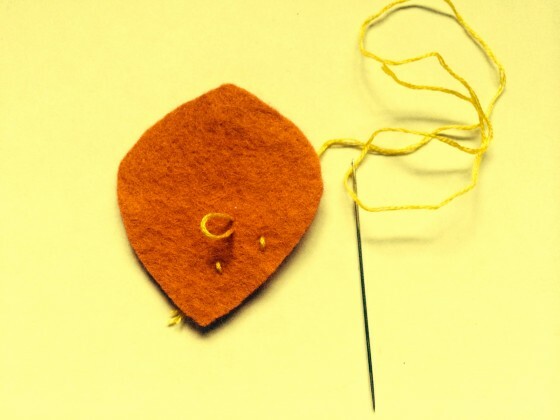 With yellow embroidery thread, sew short stitches on each red felt piece to make the seeds. Now with red embroidery thread, sew the long edges of the seams together, using a “blanket stitch”. Finish all three pieces of the strawberry in this manner, leaving an opening space on top for stuffing. 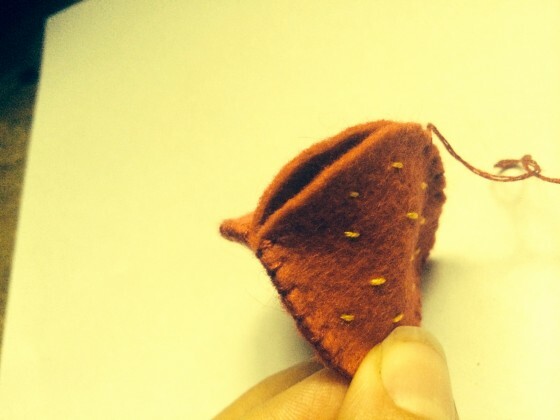 Stuff the strawberry until tight and sew the top together, closing it completely. 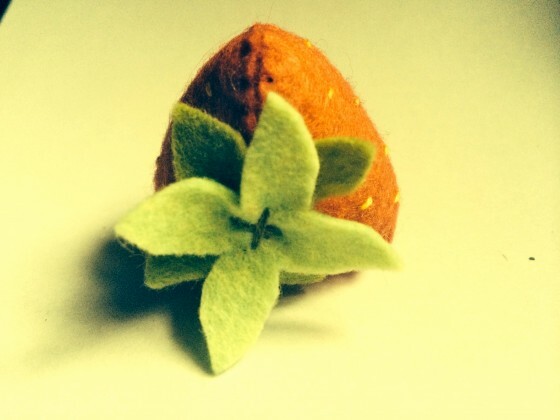 Sew on green strawberry leaves onto the top of berry. 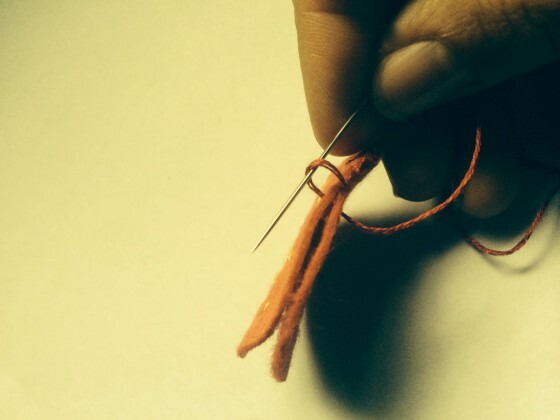 Secure your knots and cut and hide your thread. Well done! 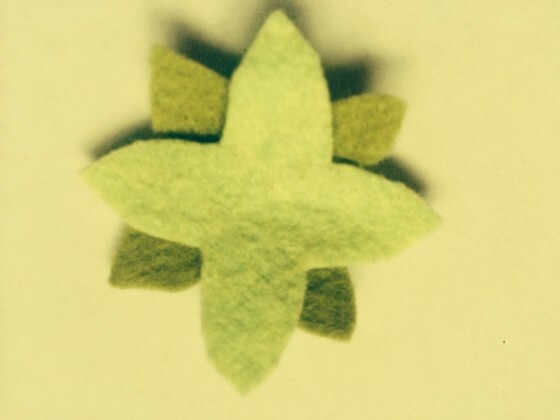 You might also like my post on how to make your own felt.